Just wanted to say, keep up the great and helpful work with these detailed posts. Wish they’d been around when my children were babies! 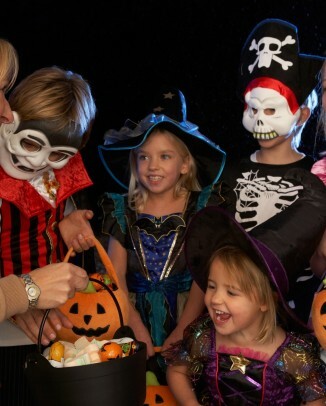 Tom, this is a brilliant website, and helps a lot when mummies are in doubt! My daughter is 11 months old and still doesn’t have any teeth! Should I be concerned? She shows signs of teething for months now, but no teeth. I know every child develops differently, but I’m afraid something could be wrong? Your thoughts are greatly appreciated. thank you so much tom it has helped so much. i wish i found U 1st time tHAnk YOu THANK YOU. 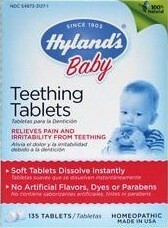 Hyland’s teething tabs contain Belladona. That is a sedative which are not recommended for babies. Furthermore homeopathic meds are not regulated by the FDA so it is hard to tell how much of the sedative is even in there. our daughter was an absolute nightmare with her teeth until we tried this. she has been wearing it since she was 8 months old and we haven’t looked back since. i never take hers off, she sleeps with it on too. 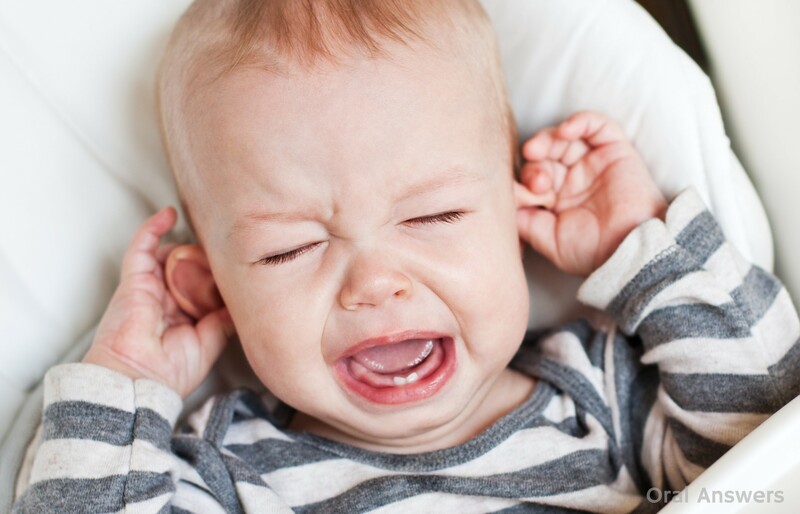 i have heard from a few people that take their lo’s necklaces off at night and they all say that they still get sleepless nights due to teething. i think that they should be worn 24hrs a day. i feel quite happy that they are not a choking hazard. the necklace has a low breaking strain so if it had to get caught on something(an unlikely occurence) then it would snap. if it were to snap for any reason, each bead has been double knotted on, so that they wouldn’t all fall off. i got mine off an Latvian Amber store. it was $15, so not expensive at all. My son will be 3 months old on April 16th. Right now he has 2 tiny teeth that are coming in. Only thing that worries me, they are his upper canine teeth. My daughters top two canine teeth came in first as well my 3 month old grandsons. My son is a week shy of 17 months and still no teeth. This does not seem to slow him or his eating down one bit. His gums (upper gums in particular) have been swollen. The top two teeth you can see the outline perfectly and it appears that his gums have shifted down, kind of like the teeth are coming down but with the gums. Is this something we should be worried about. Are there some children that progress like this as I know this is not the norm. Thank you for these pictures. My fourth son is currently cutting his molars (he’s 11 months old) and he was just sitting outside with us when suddenly blood was pouring out of his mouth! I remembered that one of my other sons had a little blood when he teethed, but this was a lot more. This website reassured me that I was right and the bleeding was normal. My husband reported seeing a new molar in our baby’s mouth that evening. this site is so wonderful! as I have been trying online to check what does teething look like on the upper gums and the pictures are exactly what my son’s gums look like. but he is only 10 weeks old! again thank you. 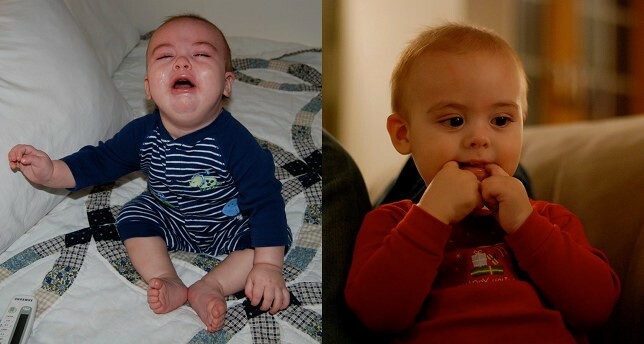 My son’s mouth looks very similar to the top pictures of Logan in how I can see the outline of his teeth through the front of his gums and also that his upper lip frenulum attaches to his hard palate. Is a frenulum attachment like this normal? Does it cause a gap between the two front teeth or any problems in mobility of the upper lip? Hi Kaitlyn – Everyone’s frenum goes from the front lip back towards the palate. It’s hard to say if it will become a problem in the future. As long as he can eat fine, we usually don’t do anything until they are done with braces and it looks like it will be a problem. I hope that helps! The first thing I thought when I saw these pics is that this baby appears to have a lip tie. I thought the same thing. My son loved very similar. We were having trouble with breastfeeding. I had it corrected with a minor less than a minute procedure at a plastic surgeon when he was four weeks. It made a huge difference in breastfeeding. If not corrected – not a huge deal but may cause a gap in front teeth. 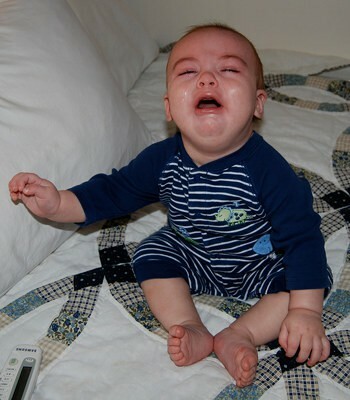 My baby looked like this. She was diagnosed with a class 4 lip tie. 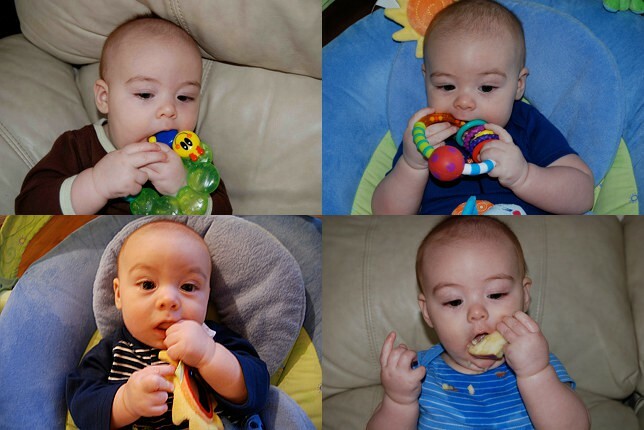 He is teething because he is constantly rubbing his gums. So today I pulled down his bottom lip snd noticed a small white bump on the outer part of the gum. It looked like a small white head (pimple) what could that be? And what can I use to relieve his pain or itchiness? Question regarding the gums– was the baby pictured here classified as having a lip tie? Our three month old daughter has the same wide band on her upper gum, attaching the upper lip. We have read this can cause gapped teeth, speech issues, and sometimes feeding issues. We are also trying to figure out if her teeth buds indicate teething in process. Ah, so hard to tell! The line where it says babies don’t die from teething is actually not accurate. A boy was lost in my husbands family, because all of his teeth came in at once and his fever spiked. did not want to. 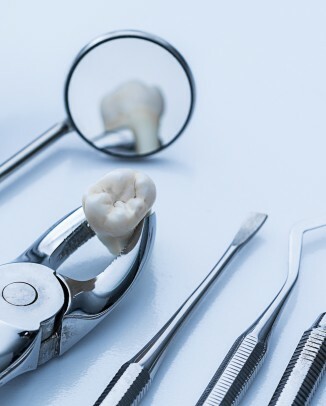 The child passed away from a fever spike and a few hours after, the teeth broke through the gums. A chilling story of some hereditary teething issues. As with all things, everything must be kept in check. 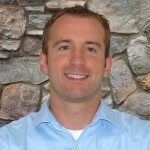 How do you upload a pic to your website? They have a natural inflammatory in the Amber. With our oldest, he was suffering from teething within two days of wearing the necklace he had stopped all the drooling, crying and sleepless night and had two new teeth. Thanks so much im a first time mom and my sons first tooth is coming in on top and it seemed to start poking out from the outer gum not where my sisters baby first got her first top tooth so i panicked and his look a lot like your so now im like ahhh ok everyone is just different. Thanks for the blog and info. Wonder if you can help. My little guy is 10 months old has both from teeth and lower front teeth as well as top two adjoining teeth and bottom left incisor. Yes he started painfully early 16 weeks weeks with first proper tooth at 21 weeks. I have noticed a small white bump which is has hard as a tooth …but it’s been there just short of a month and doesn’t seem to be growing into anything? 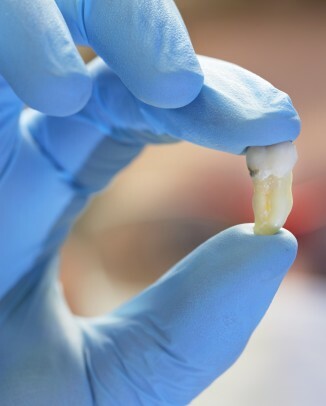 It is strangely in the region of the first molar ? Any assistance you can offer it is on the lower left side. Epstein pearl. Harmless, common. Will go away on its own.